Home / News & Events / Summer Fun at Hollow Trees Farm! 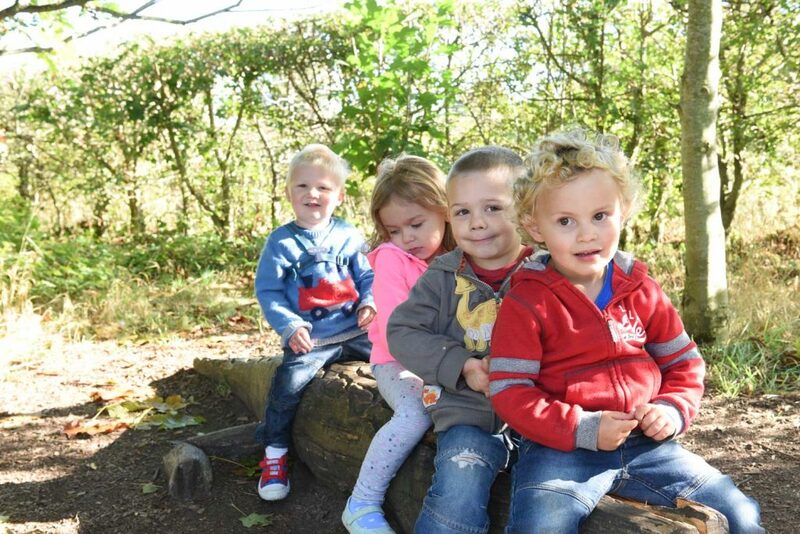 There’s lots of fun to be had out on the Farm Trail this summer. Not only are the Cresta Run Grass Sledges and Floral Maze back by popular demand, but we have some added bonus activity days too! 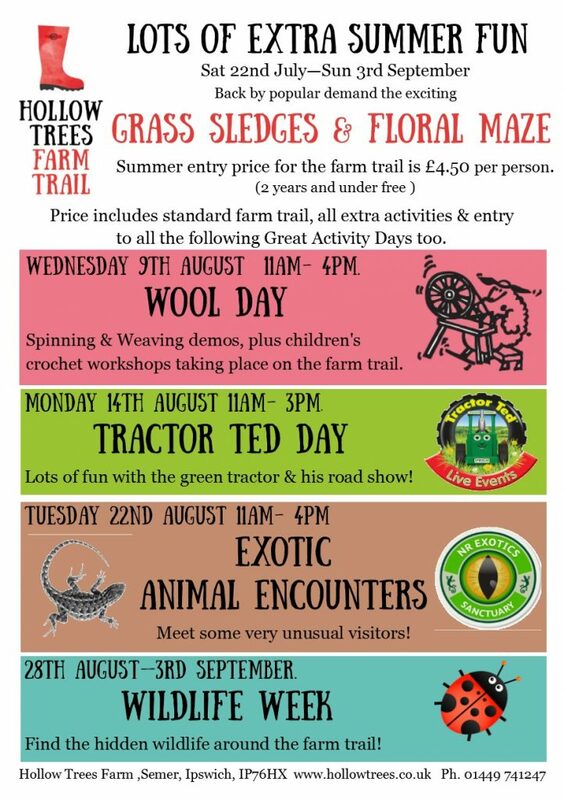 Come and see how sheep fleeces are turned into wool, say hello to Tractor Ted, meet some Iguanas and other weird and wonderful creatures, or hunt for wildlife out on the trail! We think there is something for everyone out on the trail this summer!